2014 is shaping up to be a monster year at Holdem Manager poker software. 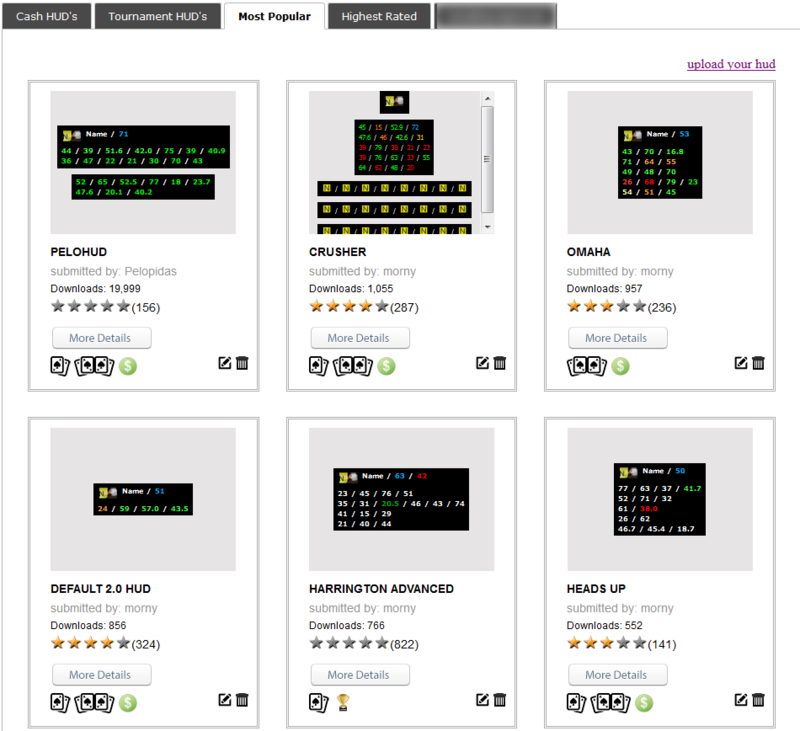 Today I want to introduce you to the new HM2 HUD Repository. The HUD Repository is not currently released to the public, but will be in the coming weeks. Players across the globe will soon be able to share HM2 HUD’s and HUD popups with ease. No need to upload images because the tool auto generates images for the HUD and HUD popups on the fly! 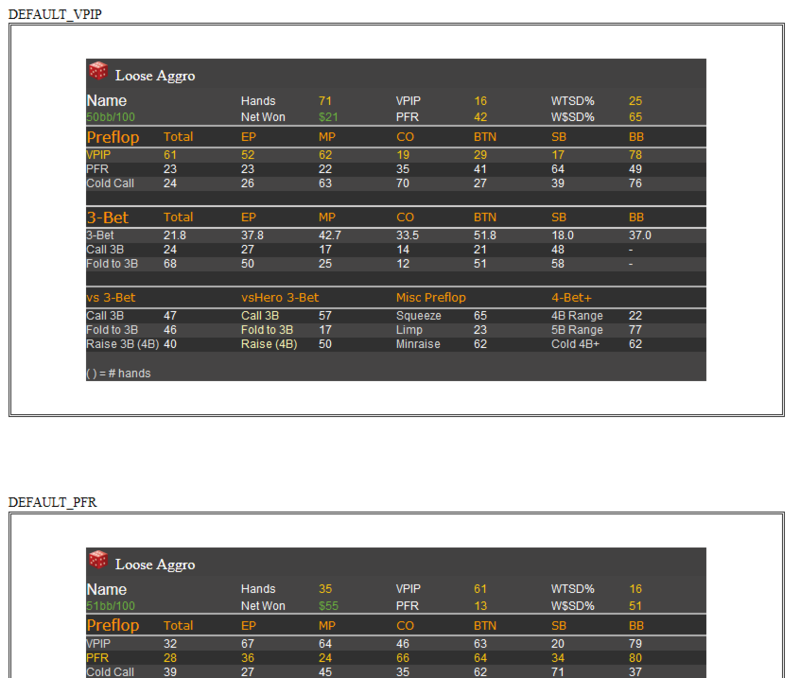 Stats are displayed in text next to the HUD you are looking at. You can even mouse over HUD stats to see what they are. Uploading HUD’s is super simple as well. 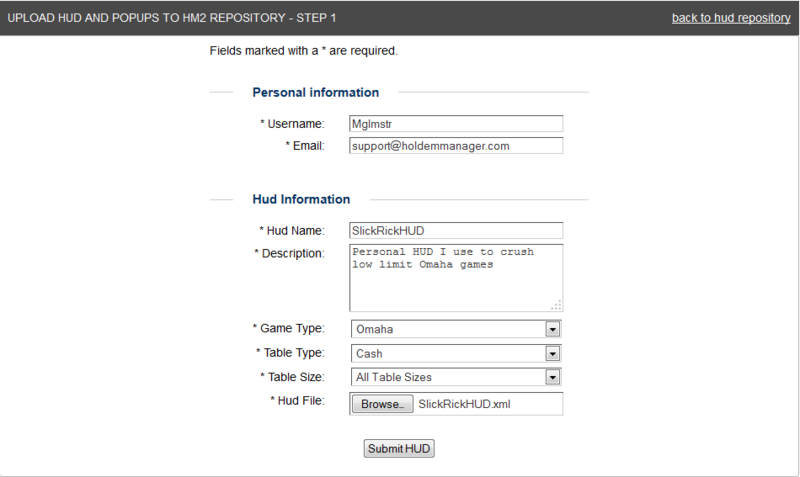 All you have to do is export your HUD from HM2 poker software and upload it to the HUD Repository. Enter your username and email. (Emails will not be shown publically) Once you’ve done that, provide a name and description of your HUD along with the game type, table type, table size. Attach your HUD and click the Submit HUD button. Once we approve your HUD it will be added to the HUD Repository. If not many of them shared on the forums, they would be shared here? are you gonna let people sell their huds or just share them? At this point we haven’t considered it but it may be possible in the future. In the mean time, if someone has a HUD for sale you can advertise it by creating a light free version of the HUD and link to the full version on your website.